Following my visit to Besserat de Bellefon I had dinner at Les Avises where by sheer good fortune I happened to arrive a little earlier than most of the guests so the other party at the restaurant very kindly offered to share their first bottle with me… the party being led by M. Didier Despond, of Salon and Delamotte and the first bottle being none other than a 1997 Salon. How lucky I felt at that moment especially as I had tasted the 1996 earlier in the year and was very excited to be able to compare the two. 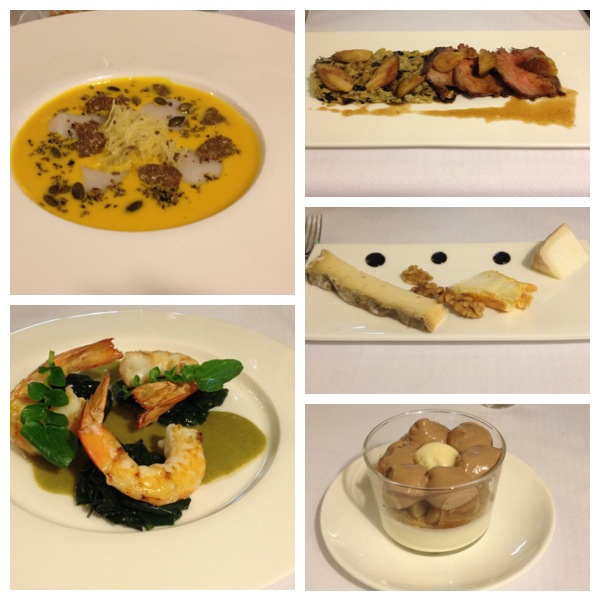 Dinner was absolutely delicious – the experience offered by Chef Stéphane Rossillon and his wife Nathalie was very special and it is certainly worth a visit! 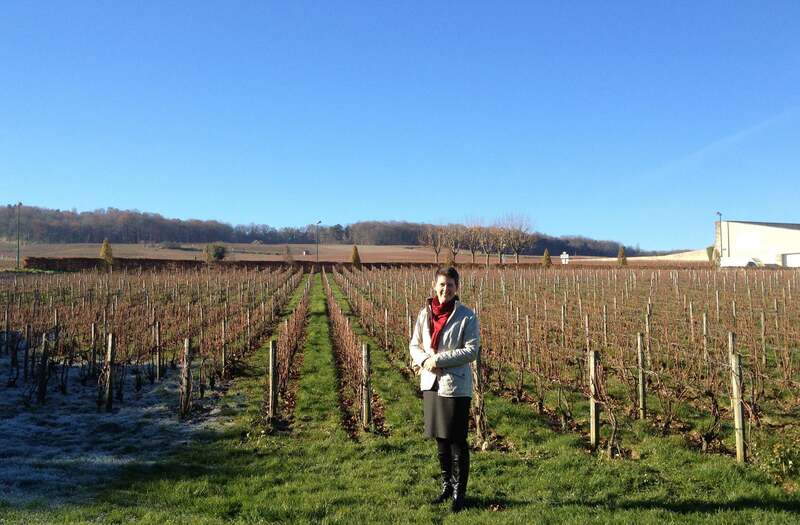 As I headed back to Épernay I realised just what a packed day it had been and that I was more than ready for a good night’s rest before my second and final day in the region. My guide the next day was the charming Audrey Campos, Export and Marketing Assistant for Salon and Delamotte. We met at the office for Delamotte and headed next door to what used to be the private residence of M. Eugène-Amié Salon, where all Salon is now cellared. You can find more information on the vineyards and history of Salon here. 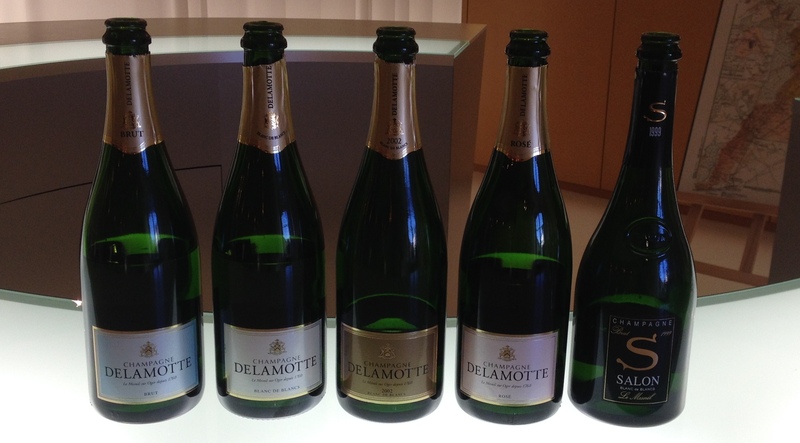 Having researched the history behind Champagne Salon I was fascinated to learn the story of Delamotte. Founded by François Delamotte in Reims in 1760, Maison Delamotte continued to be managed by the family until 1828 when a partnership was formed with François’ son, Nicolas-Louis and family friend, Jean-Baptiste Lanson. In 1837 by mutual agreement the name of Maison Delamotte was changed to Lanson Père et Fils. Nearly 20 years later, by which time both Nicolas-Louis and his wife had died, Jean-Baptiste assumed full management of Lanson Père et Fils. Jean-Baptiste had two sons, Victor and Henri, who, upon their father’s death took over the management of Lanson. Jean-Baptiste’s daughter, Marie-Louise de Nonancourt inherited the house of Delamotte. Being a keen businesswoman, in 1938 Marie-Louise added the house of Laurent-Perrier to her holdings. With Delamotte and Laurent-Perrier in her portfolio Marie-Louise set about ensuring her sons were well provided for. Charles de Nonancourt managed Delamotte while his brother Bernard de Nonancourt took leadership of Laurent-Perrier. Under Bernard’s innovative leadership Laurent-Perrier developed into one of the largest champagne producers in the world. Part of expanding Laurent-Perrier included the purchase of Delamotte from Charles de Nonancourt in 1988 together with the purchase of Champagne Salon in the same year. So although there is no direct descendant of François involved in the running of Delamotte today, there are still close links with the descendants of Delamotte family friend Jean-Baptiste Lanson who act as board members of Laurent-Perrier. Being part of the Laurent-Perrier group means that the Laurent-Perrier Chef de Cave Michel Fauconnet produces Salon and Delamotte. While a common press house is used, each batch of grapes for the respective houses is treated separately during processing and maturation occurs at separate locations. The current release, 2002, has just hit the market along with high expectations it will rival the success of 1996. Typically Salon vintages are released every 2-3 years with 2004, 2006, 2007 and 2008 all considered potential releases. 2008 will be one to watch with that particular vintage only being released in Magnums. After concluding our visit to the beautifully kept Maison Salon and a stroll around some of the vines behind the house we headed to the tasting room. 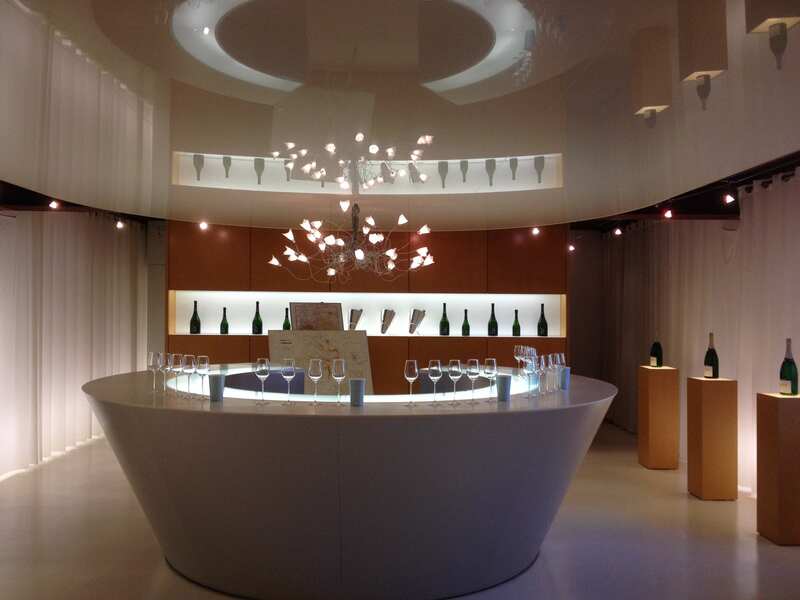 With lots of natural light and white and light coloured wood set in a minimalist design, the scene was set for tasting through a range of champagnes from Delamotte and Salon – and what a tasting it was! Aromas of honey, brioche, almonds, white flowers and almond blossom. A delicate texture with flavours of poached pear, lemon, grapefruit and chalk which lingers on the finish. The nose is richer and fuller compared with the Brut. Aromas of jasmine, butter, biscuit dough, delicate white peach, chalk, honey and hint of burnt butter as the wine opened in the glass. On the palate flavours of white peach, brioche and butter leading to a long finish of chalk and a hint of honey. Aromas of jasmine, almonds, butter, white peach, subtle notes of ruby grapefruit, sautéed mushroom. On the palate, honey, chalk, riper citrus, pear and almonds – marzipan notes, very fresh and a long finish showing notes of chalk. Medium salmon colour with copper hints. Intense and heady nose yet not overwhelming, delicate rose petals and peach skin, apricots, jasmine. On the palate peach, hint of spun sugar, apricot and almonds. Aromas of white flowers – jasmine, almond, honey, creamy butter. Typical high acid on the palate with a creamy mousse. Flavours of toasted almonds, lots of chalky notes, lemon, honey, buttered toast, sautéed mushrooms. Aromas of almond, fresh baked bread and white flowers. On the palate high acid with a creamy mousse. Flavours of fresh citrus, almond, jasmine and plenty of chalky mineral notes which continued through in a long finish. Aromas of green apple, lemon, Manuka honey and brioche followed by a hint of sautéed mushrooms. On the palate high acid with a rich mousse and a lively fine bead. Flavours of golden delicious apple, honey, lemon and ruby grapefruit. Medium plus finish with hints of toasted almonds. Wow. Just wow. Green with envy!